When I think of a horse riding vacation, I of course think of the movie City Slickers. When I first saw that flick I was sold. 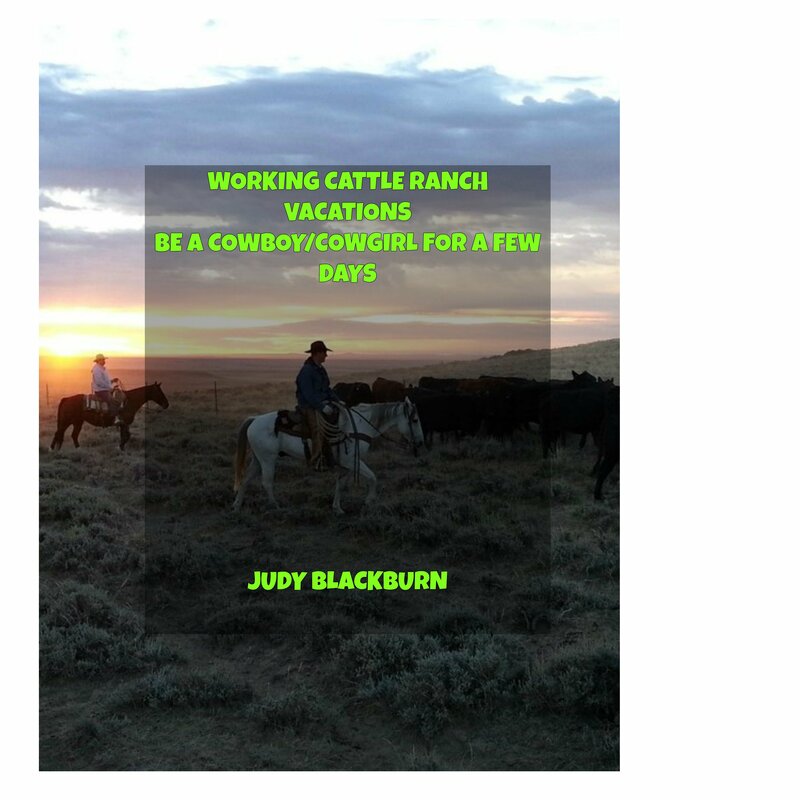 I would love to go on a vacation to a real working ranch and experience the life of cowboys and ranch living; at least for a few days. Don’t get me wrong I would love to live on a ranch full-time, but at my time in life right now it is only a dream. A vacation I may be able to do and summer is coming. The dudes in the movie were told what they would be doing and horses were found for them. They learned to rope and saddle up and head out to drive the cattle to another range. There would be camping, riding, and beautiful scenery in between. I wondered how close the real dude ranch is as compared to Hollywood’s version. I know the movies enhance and what chance is there a Billy Crystal character would be there to lend the comic air to the adventure? It would still be a wonderful experience and one I would love to explore. So I wonder what is it really like to visit a ranch where I could ride the wide open spaces and learn how the cowboys do their work? By far the best way would be to book passage to one of these ranches and see firsthand. It is disappointing to admit I don’t have knowledge of this, but I can explore on the internet and find out what and all a visitor can do and expect when they arrive at a cow punching, roping, branding, riding, real working, old west ranch. I am starting a series with this post on places to go to for a ranch life experience. You are invited to join the journey-all be it from comfort of the couch or rocking chair on the front porch. But maybe there will be some inspiration to seek out a dude ranch near you and spend a few days living the cowboy life. I know I will. I live in Washington State so I will start there. In the Methow Valley, where I used to live there is the Chewack River Guest Ranch. The guests go on trail rides, fly fish, and the location is close to the old west town of Winthrop. Their address is 588 East Chewuch Road, Winthrop, WA 98862. Phone number is (509) 996-2497. Email is chewackriverranch@yahoo.com. The rates for the Ranch House cabin, Paint Horse Room, and the Mule Room are $225. for summer and $175. for winter. They also have a Quarter Horse room and a Charolais room that go for $85. in the winter and $75. in summer. These are prices are per night. If you are inclined you are welcomed to bring your own horse. They offer free boarding for this and the chance to ride in their arena or out on the ranch trails. Bull Hill Guest Ranch is a working cow ranch. This ranch has been in existence since the early 1900’s. The Guglielmino family welcome guests to participate in riding, cattle drives, fishing, and lots of good cooking. They have seven cabins and if you are familiar with the old TV westerns you will recognize the names; Rawhide, Virginian, Gunsmoke, Rifleman, Lonesome Dove, Ponderosa, and Maverick. These prices are for 2015, per person, and during their high point of season which is April through November. The K Diamond K Guest Ranch, located near Republic also offer all the horseback riding, cattle moving, fishing, hiking, etc. When you arrive at the K Diamond K you are set for a wagon ride around the place to get a feel of the area. This is also a family run operation and good food and hospitality is just a normal part of the everyday happenings. Address for K Diamond K is 15661 Hwy 21 South, Republic, WA 99166. Phone is 1-888-345-5355 or (509) 775-3511. Summer rates which is May 15-Sept. 15 is $179. per person. Fall and Spring which is April 1- May 14 and Sept. 16- Oct. 31 is $150. per person. They do have a winter rate during Nov. 1 – March 31 and is $95. per person. Since the horses are on a vacation at this time the visitors can help feed the cows and horses from the back of a hay wagon. Riding lessons are part of the package on arriving too. There’s hiking, biking where you can see the wildlife close up. Fishing in the San Poil River or Curlew Lake as well as other lakes in the area is an option for the fisherman. Cattle drives that include branding and some doctoring happens during the spring ride when the cows are herded to higher meadows for summer. Then in the fall they are brought back for the winter. All these ranches have beautiful trails to ride, either by horseback, bike, or if you prefer you can hike. The cattle drives would be my favorite. Not only are you riding a trusted mount, but you are part of a working ranch. Check out the websites for all three of these ranches for more info and what to expect and even lists of what best to bring. They also include other activities that are close to their area that a visitor might be interested in. In the next blogs I will find some more guests ranches to talk about. Maybe one will be near you. Thanks for stopping by my hitching post. Please leave a comment or ask a question. I’ll do my best to answer. Do you have a dude ranch experience? I’d love to hear about it.